As the Pastel Academy Online’s pre launch phase begins (see next newsletter) I have had many more questions put to me about ‘why’ I am starting it. Well maybe this blog adds a little to that understanding. I can’t count the amount of times I have heard phrases like; The work of an artist is all about ‘Trial and Error’. It is a case of ‘Practice Makes Perfect’. If anything is likely to get me frustrated it is those two phrases. Why? Because very day on my art Facebook groups, I see those phrases used more or less daily, and almost always they are used out of context. Potentially good artists diligently practicing methods which are to say the least – not the best or most productive ones. So this blog is going to ask you a couple of questions – more on those later. You have been practicing for what seems like forever. Now you feel you are at least proficient with what you can do. You have learnt the hard way – by trial and error. I know because this describes me – the path I took and by circumstance I was forced to take if I were to learn what I wanted to learn in my art. But all I knew was that there must be a better way. Did practice make perfect for me? Eventually yes – but I was pretty lucky in the choices I made. Very lucky in fact. So luck had a lot to do with it. Having learned the basics of the head structure and perspective, this was a fruitful period of practice on self portrait drawings. I studied facial anatomy books – which is the hard way. Now I teach portraiture using the lessons I wish I had when I was developing. A good teacher will synthesize and condense the important lessons for you. My Summer Portrait Seminar in the Ribble Valley; an annual seminar with a waiting list every year. The seminars were 7 days with studio live study work during the day and a lecture programme on portraiture in the evenings. Plenty of chance to pack in all the important basics which I wished I had been given when my learning began. Then there is the simple fact that should have there been better ways for me to learn – it would have come at quite a cost. That cost would have been on a few levels. For one thing money was tight. When I started my studies in earnest, I was living in a northern town with no university, and no ‘degree’ courses possible in the area. I was also a young Mum, and to make matters worse I didn’t drive. So finding an alternative way of learning for me was – it seemed – impossible. Of course there was no internet either. So I went on a self-taught track, and supplemented my learning with evening classes in art history. If given the opportunity – would I have done it differently? Well put it this way, yes I would. In a heartbeat. The self-taught route can not only be lonely, it can lead you up the garden path – the wrong path. It can also take an age to achieve relatively little in the process..
Oh in an Ideal World…….. Think about it this way. A musician goes to the Royal College of Music, or one of the other reputable musical academies. A painter is lucky enough to get a place in one of the top university art departments; the Royal Academy if they are lucky. A budding dress designer gets a chance of a place at the Royal College of Art. What have they all got in common? Well clearly even having been admitted they have their first real accreditation – they are good enough to have got a place. That knowledge is giving them a degree of personal and artistic confidence in the first place. What else have they in common? They are lucky – lucky to have secured this head start – and they are going to get the specific education they need – what I call the recipes; the methods and techniques which are the best practices. The basic and fundamental stuff and when you have this quality input; specific focused knowledge – that is when practice makes perfect. Heather tutoring a Colour Theory class. Heather’s Still Life Workshop; composition in StillLife Masterclass 2014. So you are at home – maybe with a young family, or looking after elderly relatives. No chance of a place at the Royal Academy. SO you ‘play’ and try and work out your medium and how it works, and it’s the trial and error game. Not so bad when you are young maybe, but as you get older ‘time’ takes on different meaning. There is less of it. So eventually you might get a result – develop a technique maybe – that you are happy with and seems to work for you. On your personal artistic growth scale you might have gone from 1 – 4 (on a scale of ten). But how would you know? By your own judgement? You are not in a college with other students learning at the same time to compare your efforts to. Beware the Praise of loved Ones! In as much as their praise and encouragement is given in the very best of intentions, you need to ask yourself this: How long has it taken me to learn what I know so far? Does my Mum or sister or Dad really know anything about what I am doing? My father had a massive influence on my young teenage art ‘career’, but his idea of art was making it look like a photograph. Did that help me? No it didn’t. But his views are widely echoed especially by those who have not read a book about art, and never intend to, like my father. What my father gave me was encouragement and support, but his opinion on my work had little value. So I was destined never to have an objective opinion for a long time. And without that – we are back to our lonely position of doubt. No wonder so many self-taught artists are lacking in confidence. So Practice Eventually will make perfect – Yes? All too often the answer to that is no. Why? Well the idea behind practice makes perfect is simply this; like the kid in music school – they are taught the musical scales – and told to practice and practice. The key is of course they were taught the musical scales in the first place. Having been given the tried and true recipe, yes practice will make perfect. Without the initial information that you need, you might well be ‘making do’. I cannot think of a worse scenario than spending months practicing a method or technique that was doomed to fail in the first place. But you weren’t to know. Stabbing in the dark is just exactly that – sometimes you will hit your target – sometimes – most times you won’t. You might buy a book of another artists work and copy their style, and methods and you will make some headway, but at best you will only that one technique – and many practical art books are put out by artists who specialist in just one method – in one medium and in one technique, and very often using specified materials. What you are doing in fact is a little like attempting to learn how to fancy wedding cake – without having learned how to make a simple cup cake and measure the ingredients first. Trying to make a ballroom gown without a clue how to use a sewing machine. More practice by way of my self portrait series and at this stage I was looking for ideas to bring something different to the sketches. I was particularly interested in expression as can be seen! All this was live in the mirror of course – it is the only way to develop real control over your portrait skills. When I need to or have to I can turn these skills to working from photography – and can do so without ‘copying’ an image as much as interpreting it with a view to breathing life into it. So is there any Merit in Trial and Error? Learn the best practices and the tried, true and tested methods, and yes – then practice can make perfect. In fact it is the Perfect practice that makes Perfect. Well experimentation is a key principal of traditional art training. Picasso is the perfect example. But practice is most effective in the hands of the student who has learnt the basics and understands what they are practicing! When you are trying to learn the basics by trial and error – it is just an exercise in frustration and patience, and all too often, wasting time. So for many trial and error is a pain, and when all is said and done – how do you know what is working? So lets get back to that Ideal world………. What are the best ways to learn and develop as an artist? Ways that don’t cost the earth and give more results for your money? Well to start with try very hard to get some training in the basics in art. That means stuff that isn’t medium specific – but applies to work in all mediums; composition, tonal values, colour theory, perspective. Unfortunately, all too many developing artists go for details and technical tricks first. And also they go to occasional workshops set up by other artists who don’t teach the basics – and frankly probably don’t even know them. This is the one method, one way, kind of workshop – where a group of people get together in a room to all paint the same painting. Fine – once you have learnt the basics! But often this approach is poor educationally. Then consider not trying to ‘Specialise’ too early. Have your ultimate goal in mind but step outside that single minded frame of mind when you can – you will be amazed at what you learn. Whatever you circumstance and whatever your relationship to your creative art is – I hope that some of what I have written here resonates with you. And it is so important to push home the point – it is never too late to learn – and to improve and above all else to feel good about your work and how it is developing. 1. Have you ever questioned the idea that some practice might not be productive? 2. Are you also self taught? Have you been frustrated by lack of guidance? Have you learnt from books? 3. If you have attended college courses, have you this far managed to get some tuition on the basics? Colour Theory? Tonal Values? Basic Drawing? Composition? Perspective? Or did you learn them at school? Please use the comments section below and I look forward to hear your stories. Click on this link for the download of the Leisure Painter article and look out for my new article in next months issue! Meanwhile I am on my own learning curve – finalizing the launch details of the Pastel Academy! News on the opening is coming very soon. The first step will be to invite some beta testers! So more on that in a couple of weeks. Hello! I always “snuck in” some kind of art class in college, and was extremely fortunate to study classical life drawing with a master draftsman for three years. Almost 50 years later, the drawing skill is very rusty but still somewhat there. Discovered pastel a year ago and am far enough along to really want knowledgable training. Oh yes, I went to Minneapolis College of Art and Design for one semester years ago…and mostly was taught that if it was weird then it was good. After my life drawing years, I am convinced that a foundation of good skills CAN be taught. And makes all the difference. I totally agree Therese. That is what the academy is all about. Without a firm foundation in the basics – growth as an artist is severely hampered. So many artists concentrate on techniques at the expense of learning the basics- drawing, Tonal values, Composition, Colour theory etc. If any of those are not present – no amount of techniqu ina medium will help. The problem is getting good basic training for many people. 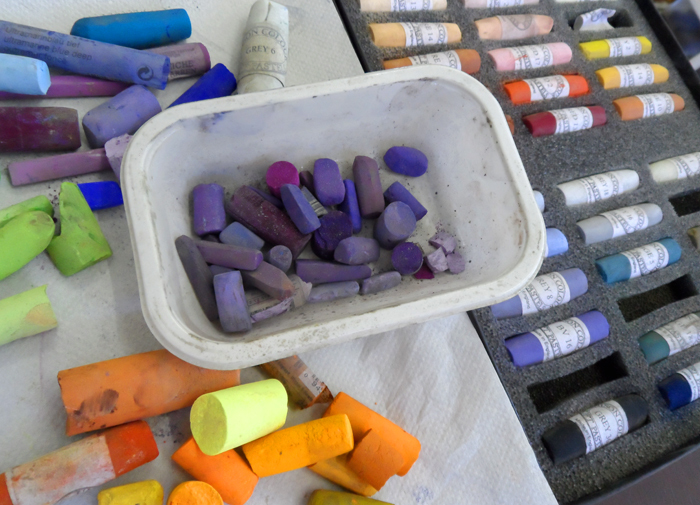 Not too many pastel tutors teach it (in fact not many art teachers do in my experience – no matter what medium. Pastel is a brilliant and diverse medium but it is also complex and learning the right way – and there is a right way – leads to a better learning experience and personal growth. Greetings Heather, so pleased to see that you have the pastel academy online. I am wishing you great success with this long involved project. I have never been told to practice using pastels. I had taken art classes in high school and some in college, but that was more on being creative and really didn’t get down to tonal values and color charts, and technique. I was for the most part a self taught artist and kept trying various mediums. I did a great deal of pencil sketching when I was young and practice certainly helped in shading techniques. I graduated to pen and ink, then water color and later oils. Teaching myself and reading books along the way. It wasn’t until I retired at age 63 that I actually began taking classes in a distinguished pastel artists studio that I gained formal teaching experience and knowledge in technique, the importance of color values and composition. I thoroughly enjoyed the sessions and studied with Reif for a full year twice a week in his studio. He was an excellent teacher and mentor. I bought DVD’s from other pastel artists and have a huge library of pastel books I have read, and have taken workshops from other pastel artists and attended many demos by notable artists. All of those have taught me new ideas and techniques I have tried myself and some I have adopted. I learned so much in color theory, and value, as well as composition from Reif Erickson in a year of study with him. He and I became friends and even when I no longer took classes and was doing my own thing, would take a painting by his studio and ask him to critique it. He was a wonderful person to ask, because he knew how to tell you by saying, if you want to get more depth, you can lightly glaze over those distant mountains with a blue or light purple to get them to recede more. Or if he would phrase it If this was my composition, I might do such and such, add some additional mid range darks to provide more contrast here here and here. Each of his suggestions was a valuable insight to improving my paintings and through his counsel and other artists I respect who have offered suggestions I became a better artist. Sometimes I have a little problem with the english language, so: practice = doing something constant is productive for me, but not in the meaning of: playing the scale on the piano 100 times a day. Practice = doing some lines a day, even if it´s only a quick sketch, but not always the same and not with the same materials, yes, that is productive for me. I made my school-leaving-examination in arts 1987, that taught me the basics like colour theory, art history, how to see art…school basics at upper level. During my study time (construction engineer) I had a wonderful college workshop once a week in watercolors for 4 years. We learned a lot, basics of watercolors, different techniques wet, wet in wet, dry etc, perspectives, sketching, image format (how to create depth and so on), we did exhibitions, we had fun together with plein air… well, great time! And than 20 years break…. and a restart with charcoal and pastels. So that´s my story until 2016 – let´s see what the next year will bring. I think there are so many possibilities to paint / draw with the pastels – these I want to learn to be finally able to transfer my ideas on paper. You have devised a good system for yourself – sketching in one medium or another very day! And it doesnt have to be much – and what will benenfit is your artists eye – more than technique. Thank you Heather, I totally agree! The foundation is there, but it´s like architecture: the foundation dissapears in the bottom, what you see are the upper levels. Marion, without good foundations any artist can only expect to achieve so much. With practice it is possible to ‘perfect’ on kind of approach to one subject eg become proficient at animal portraits, but in time that can become limiting. Hello Heather, I am so anxious for help to progress. I have had an online course in landscape painting using pastels. 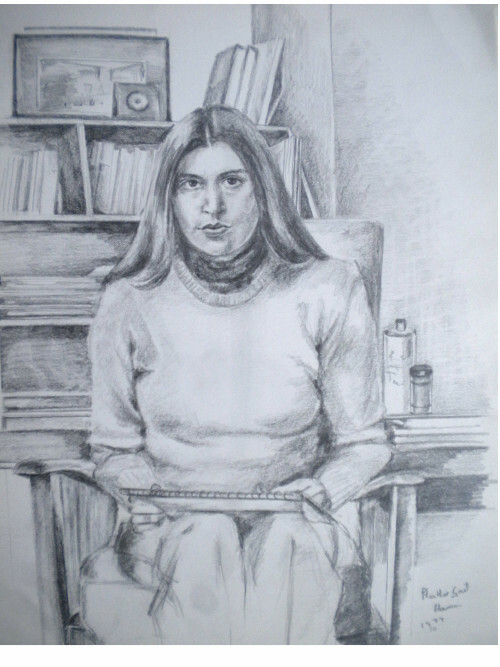 I did a few classes in portraits years ago. I am so frustrated by everyone liking my paintings when I know they are just being nice. The other frustration is that I tend to like my own work but when I look at it again months later I can see how bad it is! I would love an honest opinion from an expert and lessons in how to progress. Well that is what the Academy is all about. 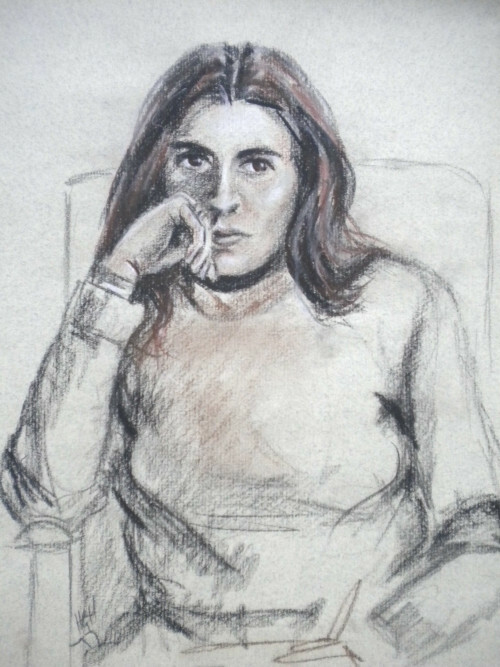 I was always niggled by the fact that even those artists lucky enough to go to university to study art – never ever were introduced to pastel (which given the fact it is a drawing and painting mesium makes not sense to me at all). On the other side of the coin – those of us who learned there pastel skills by trial and error – rarely – if ever – get down to learning the basic fundamental lores of painting- composition and tonal values tend to be the two areas were a good piece of work can fail if you dont know about these. I need guidance but I feel I paint from my heart and sometimes get carried away , having the correct technique is more important to me than practice over and over again.. although I do a small piece over and over again quickly just to get a more loose appearance. I have a great deal of higher level formal education (business finance) but have never taken formal art classes at an institution. I have been ‘practicing art’ in some form or another for 7 years. Started with acylic (no lessons, books only), then watercolour for about 5 years (many books and many workshops). 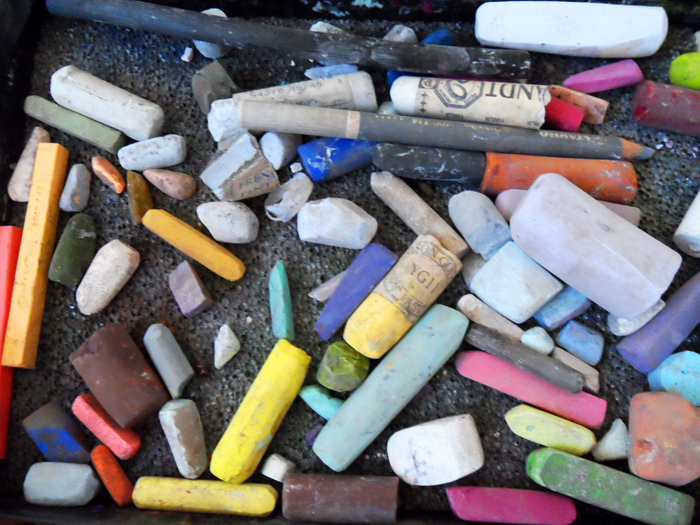 I am now onto pastel for about 2 years now (books, but no workshops). I am an avid reader about all things art related. I feel I have learned all the basics now. Almost everything I read on FB group pages or elsewhere is not new. I regularly sell my paintings for the average going rate in my area. I have taught several watercolour workshops and one pastel workshop thus far. I belong to 3 local art groups. I have won some professional-level local art fair awards in both watercolour and now, pastel. I have gained a limited ‘following’ in the local community. Now I want to be more confident, producing a better ratio of quality work because my time has become more limited. I am able to produce in various styles, but I don’t know what MY style is yet. I feel I am all over the map! I don’t know what I should be pursuing/practicing next in order to achieve higher proficiency. I am more interested in professional artistic growth vs. earning sales right now. There is no way that I am going back to college/university. What do you suggest for someone like me? You need focus. From the point of view of the Academy – the themed projects would be where you could concentrate on developing your own style. In many cases when someone tells me that is what they want to do – I can see they already have a style! It just needs nurturing and developing. Answer: I have been doing art for 2 Year’s now and started when I joined an informal art club, where there is no structured art lessons, each member does their thing in whatever medium they wished to work in. A Resident professional artist Keith Shone would make suggestions on each persons art work. I started with coloured pencils, then tried watercolours, then got introduced to pastels, left them alone then returned to soft pastels. I would do the same picture several times, but the second time the heart and soul was different. So practise doesn’t always produce perfection only frustration, because I am producing what I want (but there on I can’t say exactly what I want so I often do and see what develops). I am self taught, I pick up tips from art club, face book groups, YouTube a few books. I doesn’t always feel like joined up writing. Answer: I have attended no courses so learning is slow, from the various sources already given. I often download information in to a voice programme so I can listen whilst working or walking the dog. I have to look up pictures later and try to image these when I listen again. Well you have probably also read some of the responses so far to my post. Yours is a common story – little guidance and not quite knowing if you are learning or not? Like so many things in life – having a plan of action – or a strategy to improve – will bring results. Otherwise the feeling is probably like you are treading water – when what you want to do is swim like a fish. Learning the basics will bring huge improvement It is perhaps the main reason I am founding the Academy. Honest critiques are important. You grow through them – and as much as our friends and loved ones want to encourage us – unless they are qualified, they cant ‘critique ‘ your work at all. I think many people feel as you do. You have no idea how many people start out the photorealistic way -in portraiture usually. I am interested to know though – have you been given tuition in Colour theory, perspective, composition etc in the Degree course? I ask because I have had people come to me to suppliment their degree work for those subjects, along with life drawing which wasnt part of the Fine Art Degree. I am well into my silver surfing years, I did not begin painting in earnest until I retired some years ago. Although I had done a little with local art groups, my retirement gives me more time to enjoy the process. I have received no formal full time training other than a couple of workshops lasting no more than two days, but mainly just one day. I as a majority of folk do, began with watercolours, using videos and books as guidance. After a while I moved into oils and pastels. This gave rise to an even slower learning curve as continually moving from one medium to another tended towards forgetfulness of previous small lessons learnt. It was only s few years ago that I decided to major in one medium only, and that was to be pastels, as I love the immediacy and vibrancy of them. I have to admit to not sitting down to “practice” as such, simply to paint. the guidance I get comes from feedback from the public when I exhibit, which I do regularly, and also from my contemporaries here, which gives me some idea of where I am. I have never had a formal appraisal of any of my work, being a pensioner reduces monies that can be spent on pleasures. I feel that I am still chasing my “Style” shadow, I enjoy detailed work, yet I am still attempting to loosen up a little to move away slightly from a photographic style representation. The comments are all interesting. I myself enjoyed drawing as a child, then work and family took over, saying that I worked in a world of exacting map work for Land Registry. I now would love to be free in my creations bu find it hard to free up my painting. I have been introduced to pastels and have joined a class, learning many skills which I am trying to perfect. This however is only the start as I am realising there are many ways to achieve that special image. I have read, watched youtube etc for help. It is good to have hands on help to learn new technics. Looking forward to working with you Heather and maybe get to one of your workshops. Yes the comments are interesting, and it is great so many people take the time to respond. You dont say if the class you have joined is taught by a pastel specialist? That came make an enormous difference. They are rare I know. I think Youtube is a goof resource as such but in a way it is down the to ‘put luck ‘ element. COnsume a lot of videos some of which will be of helo and others more entertainment. But at least they are there. Looking forward to working with you too Annie. I don’t think there can be a perfect painting, all artists are individual and “beauty is in the eye … Etc “. I am 67 and I have drawn in pastels for five years now and practised regularly. Have drawn the same image again and again with different results, seeing each challenge as new and fresh. So why do they turn out different? Because I am often not happy with the first attempt and do not know enough basics apart from copying what I see. 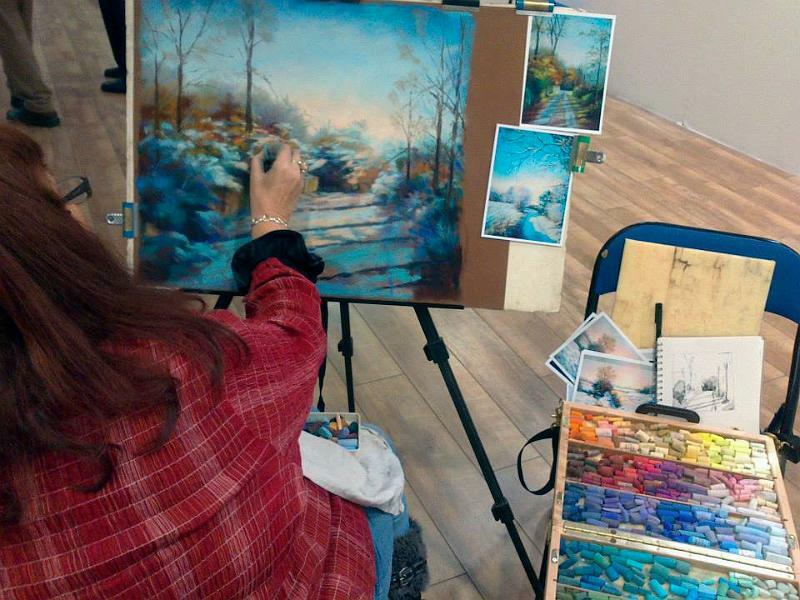 I have a local pastel tutor who helps me copy, and her comments have helped tremendously, as do the class members. I can’t sketch – have a mental block ! I feel I need basics about value and tone and composition as I have no college background, I just love to draw. You most definitely will benefit from the academy training. Yes the idea of sketching can be a mental block – and there are simple ways out of that one! Copying what you see is a way to improve some techniques. But is is no way to learn the basics! And yes – with an understanding of tonal values and the role they play and how to develop and eye for colour is what will make you happier with your work and with good reason; it will have put you in control of your work. Copying is method which does just that – allows you to copy. But for many it is a dead end and no way to develop. But having some class mates around going through what you are going through can be a positive thing. You will be happy in the community of the Academy and one of many who will be learning the basics – at last. 2. I’m a self-tough. I was 14 years old and I learned by books. Later at my Training as decorator, I had luck to learn basic like color, perspective, value etc. . 1999 I went to a school for adults of paintings, but their wasn’t good and so I went to workshos, where I learned many good technique. Success and frustration always accompanied me in my development as an artist, but also heard, or not? 3.I had lucky to have very good teachers in the workshops I manage that always mediated the basis of painting. I can understand you perfectly. You have had a good grounding in basics and in some workshops too. That is great! I think you will enjoy the Academy very much – there will be much to challenge you there. I am self taught, learning from books and DVDs and more recently YouTube . I am therefore fine at copying demonstrations and I also did six evening classes in drawing which I really enjoyed because after initial advice from the tutor we were left to get on with the subject and she was there to advise if needed, I would have done a more comprehensive course like this if there had been one available. I kept reading that you should practise sketching every day but started to question the value of this because I had no feedback on whether I was learning anything or improving, very frustrating! The drawing would have given you some grounding for sure – but it doesnt sound as though there was much thought or instruction behind it. I come across that a lot Im afraid. A little more ‘structure’ would be so much more constructive and would have made you feel the benefit. Practicing each day – especially sketching – is great. But yes you need to know what you are aiming at! The ultimate question in the back of your mind when sketching being; ‘Could I paint a picture from this?’ or ‘Am I taking down the right information to develop a painting?’ If you are sketching for its own right – for fun – its largely a question of developing your technique. The first 5 sketching modules will be in the Academy when it opens – and I am going to be running sketching themes and challenges. Yes I understand where you are coming from. I only have the Internet to help me as I care for my disabled husband 24/7. I too have been drawing since I was in school but with limited funds a pencil and paper where my only tools. I now have better funds but can’t leave my husband to go to classes….. would love to have a week just painting!!!! So practice is all I do! But I have improved! I just keep going on the Internet and reading what other artist say. I also now ask for help!? Something I never did before. I will keep plodding on as long as I have other artists to ask for help. Love the Internet! The real key there is that you now ask for help. Is that because of the Pastel Artists Uk Group? I imagine so – that is why I set it up. I sympathise totally with your position on the home front – I think many people with understand your situation. The frustrating thing is when you would be receptive to classes you cant get to them! Classes have a value – one being to be able to assess and compare your work in real time with that of others. BUt – it needs to be a good structured class otherwise they can be little more than a social event – enjoyable but not very helpful. I have just checked through my list and I can see already there are a few who are for one reason or another ‘homebased’ who are going to be joining the academy. What will be great is that there is going to be different ‘studios’ one for drawing, for portrait , for landscape etc. and each month we have a themed workshop. 1. I would have to say no because I pursue what interests me and I don’t view it as practice but rather learning something from each time I use that medium. I have always been able to “teach” myself and perhaps I create intuitively although I have taken college art classes. 2. I have an associate degree in graphic and commercial art and worked as a graphic artist for 10 years so I have learned the basic techniques you mentioned. But my interests have been wide and varied so in those mediums I would consider myself self taught with the addition of some workshops. I feel that I incorporate all the different things I have learned thru the years and, I guess, recycle that knowledge and apply it to each new medium I try. As you can probably see by the other comments on this blog and on the others – it is not often I hear from someone with some art training. You do have a great background training for sure and that is one of the reasons you are able now to take a direction that interests you, and get a good result. Without an understanding of colour theory and composition to name just two elements – things might not be so straight forward. If I were in charge of art education in schools I would make sure the four core basics were taught in all art classes. They form the foundation for so many aligned careers from design , fashion, even floristry. You are in a good position to proceed. Do you teach or want to teach? One of the functions of the academy is an ‘Art as Business’ area. My aim is to get more people learning through teaching and of course – it is all good for pastel. Really great blog. Thought provoking. I’m self-taught and have been wondering how to develop further. I’ve done various courses/workshops and it’s all a bit pot luck as to how much you get out of it. The basics – I guess I did learn some of the basics at school at GCSE level. Life drawing classes also feels like learning the basics to an extent. I echo the sentiment of wanting to learn quickly now that I’m in my forties! Great that you appreciate the blog! It is one that I felt I had to get out there – for a variety of reasons. You know being self taught is not the problem as much as having no direction and feedback. You are right it is then down to pot luck. Lucky if you got much of the basics in school! What I am going to be doing in the Academy is asking you to stop – take stock and spend a little time backtracking to make sure you have the right knowledge; eg how to compose a good painting, how to choose a colour ‘scheme’, how to get depth into your work, getting you perspective right etc. With all that done – you will then be doing two things; you will not be making poor compositions, and you will progress a lot faster and with confidence. Hi Heather, i would say that it certainly takes a lot longer to improve when you are learning by yourself, i am self taught, i learn by interacting on facebook groups with others at different levels, following discussions there, asking questions on techniques and applying that knowledge to my work. Do i think i would achieve a lot faster with tuition? Yes of course! Is that tuition available to me locally? Definitely not! I would say however that there are a number if experts in their field who give freely of their knowledge to us learners as a mentor would. Sometimes that mentoring takes place publically in the group, occassionally it is by private messaging in the background. This is how i learn along with reading articles online and in magazines. That is all that is available to me. Have i learnt the basics? To a point, yes! Could i do with further help to understand the basics? Yes. Do i think my style is good? Yes! Do i have particular goals that I want to attain? Hhhmmmmm….. That is not what’s driving me… I’m driven by the personal satisfaction that i get from doing my art, my way, delighting others with it, getting feedback and honest critique on how/where to improve. Do i have enough knowledge to help others? Yes, and i’m already doing so in a local evening class that i coordinate. Is it at a high level? Probably not, but it’s a leisure class, not a tuition class, we meet, we do our own projects, we have materials provided and we socialise whilst doing art. It’s popular, it’s gaining more and more members and people feel it’s a safe place to explore without very high expectations of what is expected of them, which can be offputting. Are they improving? Yes, but slowly. Are they ambitious and eager to get more serious about their art? No, not really! In fact i’m the most ambitious of them all. They simply want to enjoy the process without the pressures. You have more or less summed up the situation that many of the academy members will understand fully. The Basics; are not difficult to learn – but they have to be taught in some kind of context, otherwise you have the theory but little idea how to implement it? 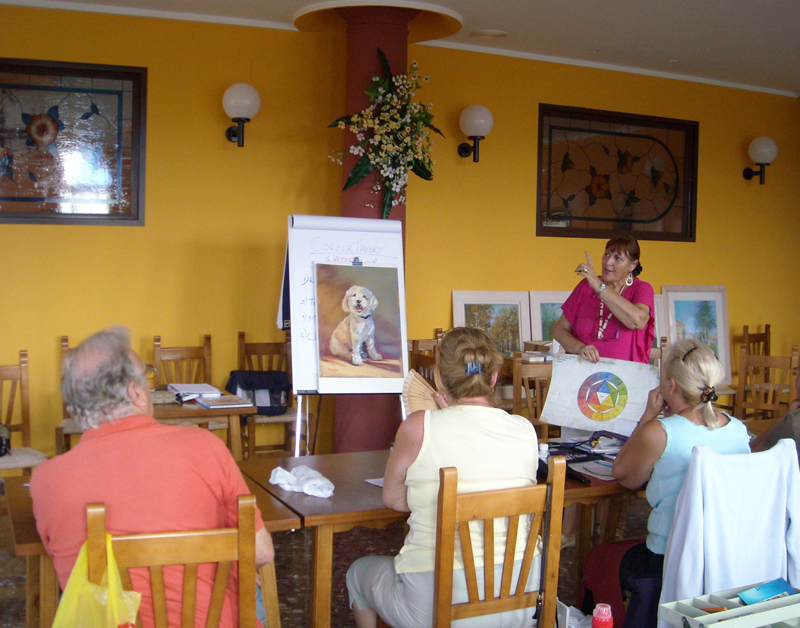 What is great is that you are leading a leisure art group – it gives you an added perspective. Thee is a logic to it. The more you learn – the more you can pass to them. You might find a couple of them would like to join the Academy too, if for no other reason than they would enjoy being part of sucha community and learning. 2) yes.I am self taught but try to learn in magazines,Internet,etc. Many thanks Ed. More or less a common response I think.